Vertical Entertainment has released the trailer for director Fred Wolf’s new comedy Drunk Parents which centers around two parents who are trying to do everything they can to hide their financial troubles from their daughter and social circle. 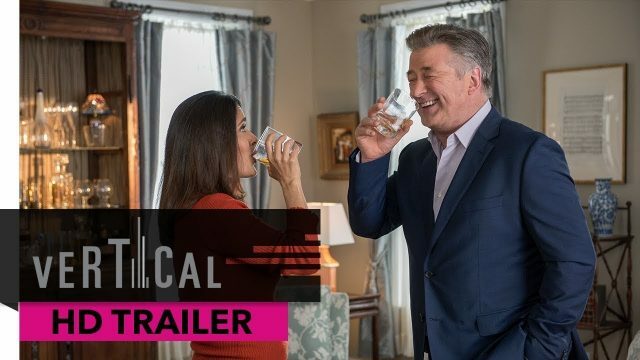 Starring Golden Globe winner Alec Baldwin (30 Rock) and Academy Award-nominated actress Salma Hayek (Grown-Ups), the film will be exclusively available on DirectTV on March 21 ahead of a theatrical debut on April 19. Meet Frank and Nancy Teagarten: The staunchly lower upper-class family with their shiny black Range Rover and tasteful Tudor style home. They’re anxiously dropping off their daughter at her first day of college, and the two parents couldn’t be prouder. However, a visit by the repo man shortly after leaves them scrambling to make ends meet & their wealth, it seems, is less secure than we thought! Committed to getting their daughter through college, they hold a house-wide yard-sale coupled by a night of heavy drinking and wake up to some very regrettable decisions. This sees them try to hide their evaporating net worth from friends and family-alike in an ever-increasing downward spiral of elaborate neighborhood schemes. The film co-stars Jim Gaffigan, Joe Manganiello, Bridget Moynahan, Michelle Veintimilla and Ben Platt, from a screenplay by Wolf and Peter Gaulke (Ice Age 2: The Meltdown). It is produced by Robert Ogden Barnum and Aaron L. Gilbert. The post Drunk Parents Trailer: Hung Over and Tapped Out appeared first on ComingSoon.net.